MIPS scores have radiation oncology asking, that’s it? Radiation oncologists and other physicians are struggling to maximize return on investment under the new Merit-based Incentive Program Payment System (MIPS), compounding questions about the new program’s burden and value. The Medicare Access and CHIP Reauthorization Act of 2015 (MACRA) established the Quality Payment Program (QPP) to transition Medicare payment away from fee-for-service to pay-for-performance. Participation in the QPP is through one of two pathways. The Advanced Alternative Payment Model (APM) is one option; however, only radiation oncologists in a multidisciplinary practice involved in the Oncology Care Model currently have this option. A radiation oncology APM is currently in development. The Merit-based Incentive Payment System (MIPS) is the other option, and it is how most radiation oncologists currently report. 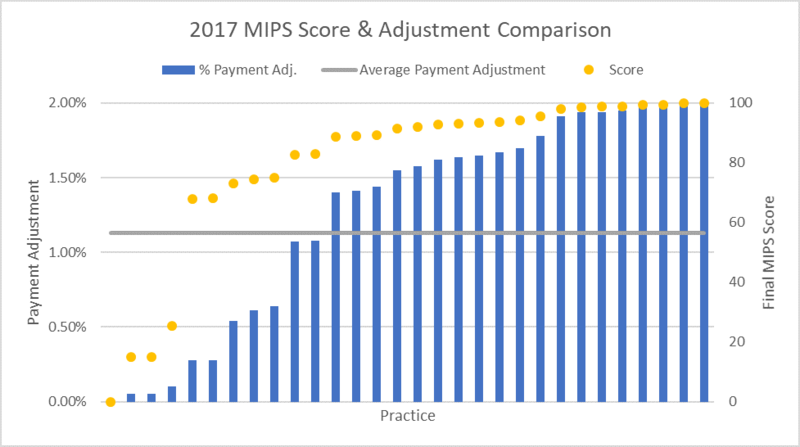 MIPS combines and replaces Physician Quality Reporting System (PQRS), Value-based Payment Modifier (VM) and Medicare EHR Incentive (Meaningful Use) programs into one comprehensive program. As we work to influence the 2019 QPP proposed rule, we are also interested in gathering performance data from our members so that we may advocate effectively on theirn behalf. What was the participation rate? What were the scores? How did our members perform? ASTRO requested feedback data from some groups and has some initial data, but we need more responses to advocate for program improvements. The 2017 program included up to a positive or negative 4 percent payment adjustment for 2019, and many ASTRO members that were initially polled scored a perfect 100. 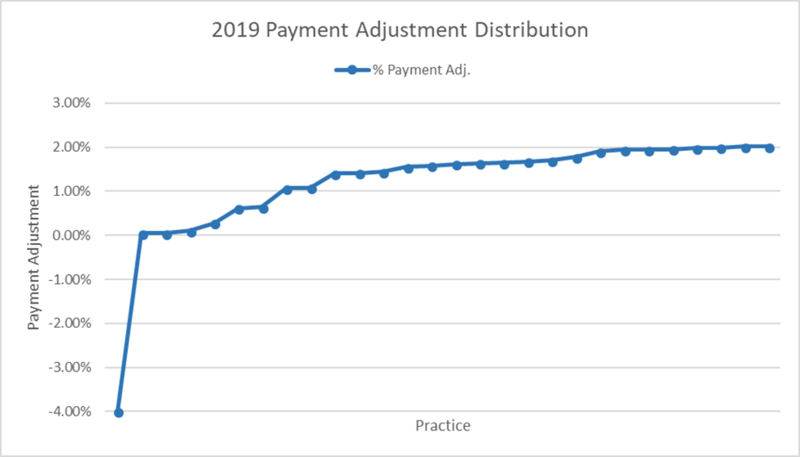 However, when all calculations were averaged, this only equates to a 2.02 percent positive payment adjustment in 2019. There was little surprise that the positive payment adjustments were lower than the 4 percent ceiling, considering the budget neutral mandate combined with the "Pick Your Pace" option introduced to ease practices into the new program. Yet the fact that the positive adjustment was so low—about half of the maximum—means that some program rules should be reviewed. Realistically, if the program is to succeed, there should be a meaningful financial benefit, alongside the potential quality improvement impact, that offsets the significant cost of participation. Failure to be automatically reweighted due to eligibility provided by CMS’s 2017 extreme and uncontrollable circumstances policy. Understanding participation, performance and the cost/benefit ratio will inform ASTRO’s recommendations to CMS on future iterations of the program. Please fill out this short survey to help ASTRO provide suggestions to CMS about how to refine this program moving forward. Despite continued technological advances in radiation oncology, well-documented disparities and inequities in cancer care and outcomes continue to persist domestically and globally. While diversification of the physician workforce is seen as an important component to addressing health disparities, certain specialties, such as radiation oncology, remain disproportionately underrepresented by women and underrepresented racial and ethnic minorities. Importantly, the ASTRO Board of Directors identified Diversity and Inclusion as one of five core values in its Strategic Plan last year. Since recently being elevated to the status of a full committee within ASTRO, the Committee on Health Equity, Diversity and Inclusion (CHEDI) has been working diligently to raise the awareness of our committee and achieve our recently updated mission: To advance the status of minorities and the underserved in oncology through educational and professional opportunities, advocacy and awareness. Our committee’s work is executed through several initiatives, a few of which are detailed below. Zachary White from the University of Southern Alabama, who was selected as the Basic Science awardee for his project with mentor Markus Bredel, MD, PhD, at the University of Alabama Birmingham, entitled Impact of ANXA7 I1 Expression on PDGFRA and MET Endosomal Trafficking in GBM. Amandeep Mahal from Yale University, who was selected as the Clinical awardee for his project with mentor James Yu, MD, MHS, entitled The Effect of Race and Decision Aids on Physician Recommendation for Prostate Cancer Treatment Planning. If you are interested in being listed on ASTRO’s website as a potential faculty mentor for the Minority Summer Fellowship, please contact Natalie Cain at natalie.cain@astro.org. Each year, students across the country utilize this faculty mentor listing to identify potential mentors and research projects. “Increasing minority enrollment in clinical trials in radiation oncology: Why and how” – represents the annual ASTRO-NCI Diversity Symposium, a long-standing session now managed by CHEDI. “Achieving Gender Equity in Radiation Oncology” – features a joint association session with the American Association for Women Radiologists. “The Impact of the Affordable Care Act on Cancer Care for Underserved Communities: The Good, The Bad, and the Unknown” – includes representatives from the ASTRO Advocacy team and health services research discussing this ever-important and changing topic. Pipeline Protégé Program: This novel program was recently developed by CHEDI leadership as an inclusive career development program aimed at bringing diversity to ASTRO’s Councils and diversifying ASTRO’s future leaders. Protégé’s must be be a board-certified radiation oncologist or medical physicist and have a demonstrated interest in diversity, inclusion, health equity and/or disparities. The program has a yearlong term beginning and ending at the ASTRO Annual Meeting and aligns a protégé with an ASTRO Council, where they will assist leadership with executing an important project within the Council. Protégés will have access to seasoned leaders and planning conversations that help shape ASTRO’s efforts in clinical affairs, quality, education, government relations, health policy and science, while ensuring the inclusion of diverse perspectives. We look forward to the participation of all ASTRO members in these activities to benefit our Society, institutions, communities and, ultimately, the diverse patients we serve. Dr. Curtiland Deville is an Associate Professor in the Department of Radiation Oncology and Molecular Radiation Sciences at the Johns Hopkins University School of Medicine. It’s no secret, the information age has enabled broad access to rich scientific content. Today, vast amounts of knowledge generates and disseminates across various platforms. Owing to evolving needs and technology, information cycles to and from consumers, with multiplying force. Enter the age of big data. 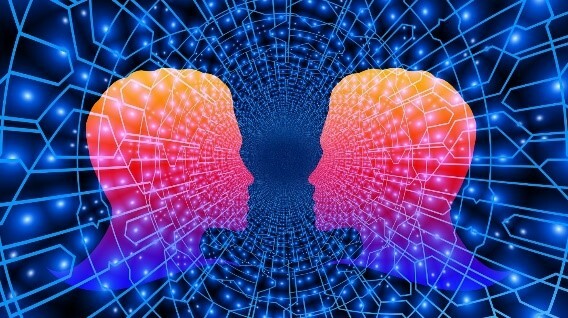 With greater access to information, it’s become increasingly difficult for researchers to quickly glean important developments in their fields of interest and build a knowledge base without first employing analytics-based tools and strategies. Priem et al. highlighted the overconsumption challenge in Altmetrics: A Manifesto, stating that no one can read everything; people depend on filters. Consequently, stewards of scholarly publishing have taken a multi-role mentality of curating peer-reviewed literature and providing tools that aid discovery and measure impact, i.e., alternative metrics. Our very own Editor-in-Chief of Practical Radiation Oncology, W. Robert Lee, MD, MS, MEd, recently shared views on this in Scholarly Publishing and the Metric System. While alternative metrics or “altmetrics” have become a standard feature in publishing, it’s important for the community of RadOnc researchers to be knowledgeable about their existence and applications. Alternative metrics (altmetrics) represent evolutionary thinking when it comes to measuring the impact of scholarly materials. Traditionally, citations served as the primary indicator of impact. While citations still play an essential role in determining long-term impact, they cannot sufficiently measure or keep pace with the increasingly diverse types of research output that scholars, practitioners and society-at-large interact with electronically on a daily basis. Altmetrics have become the big data analytics tool that aid the discovery process, and shed light on reach, impact and engagement in near-real-time. Altmetrics provide alternative views of impact by synthesizing big data, connecting scholarly output with various digital signals of engagement. ASTRO's journals are using altmetrics to track articles. Read on for how these journal articles are tracked and learn strategies on how to leverage the various metrics that are publicly available. To access altmetrics for International Journal of Radiation Oncology•Biology•Physics (Red Journal), Practical Radiation Oncology or Advances in Radiation Oncology, simply go to their respective homepages and click the PlumX Metrics widget (Figure 1). You will see a high-level view of articles receiving social media buzz (Figure 2). Figure 1. PlumX Metrics widget available via the Practical Radiation Oncology homepage. Accessed July 11, 2018. Figure 2. PRO’s Top Social Media Articles. Accessed July 11, 2018. Figure 3. Screenshot of a full-text article showing the PlumX Metrics icon. Accessed on July 11, 2018. When the PlumX icon is clicked at the article level, an activity summary page loads featuring options, showing data sources and illustrations of communities that are interacting with the research (Figure 4). For example, one can explore tweets, news articles, citations, etc. Figure 4. PlumX article activity summary page. Accessed July 11, 2018. 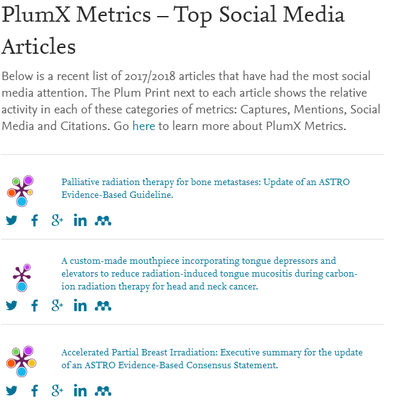 Members and affiliates of the radiation oncology community are encouraged to keep up with trending research using the PlumX metrics feature provided via ASTRO journals. One way of doing so is to regularly check the top social media articles lists. Members are also encouraged to think innovatively about gleaning insights at the article level to stimulate current research and identify potential opportunities for future research, collaboration and/or funding. Becoming more familiar with these near-real-time metrics can assist with identifying past and present trends and demonstrating research impact. Our journals provide powerful tools enabling scholars to track the performance of their published research. We encourage you to use these metrics and insights to strengthen connections with the scientific community. Become more active on social media by sharing articles with your professional networks. When preparing a new manuscript, ensure it is search engine optimized. For more tips on preparing and promoting your research read: How to improve the impact of your paper. When publishing a paper in an ASTRO journal, authors are given a Share Link, granting anyone free access for 50 days (from the date of publication). Are you ready to promote via social media and want to arrange joint social media promotion? If so, reach out to the editorial team at redjournal@astro.org, pro@astro.org or advances@astro.org. As the field of radiation oncology grows and novel therapies emerge, non-traditional metrics such as clinical, patent and policy citation metrics will grow in importance. We’re hoping to help raise ASTRO member awareness. Tell us what you think by commenting below or contacting Dawit Tegbaru at dawit.tegbru@astro.org. Dawit Tegbaru is ASTRO’s Managing Editor for Practical Radiation Oncology and Advances in Radiation Oncology.